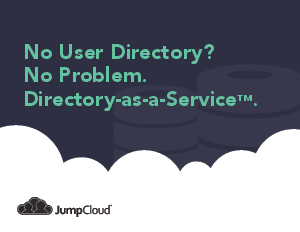 Many organizations go without directory services claiming they're too hard to manage. The problem, though, is that without a central directory you introduce security risks and massive amounts of additional work to manage your users and employees. Traditional solutions like Microsoft Active Directory and LDAP aren't cutting it, either. They're too complex, too expense, and incomplete. Download our latest guide to learn how IT admins can have it all— a cost effective system that is easy to manage and easy to implement. Directory-as-a-Service™ is how modern organizations are solving the problem of directory services without the complexity and expense. Save time and increase security. Get the guide now.